Received some frustrating photos this morning in Whatsapp. One of the challenges in working with refugees and people in developing nations is that they don't have access to banks, bank accounts, credit lines, etc. There's no ATM or Western Union in a refugee settlement. The system we have isn't set up to work for them. So our last payment took 5 days to arrive, and because of that, this happened (see photos). See, even though we are building the school in a camp that has existed for 59 years -- the government still won't acknowledge that these people are here even semi-permanently. They won't allow them to build with burned bricks. So we build with mudbricks. Luckily, they were able to start using metal roofs -- so once the roof is on, it protects the walls from dissolving. A problem many families have dealt with for years. But... if the money isn't there, we can only do one step at a time. 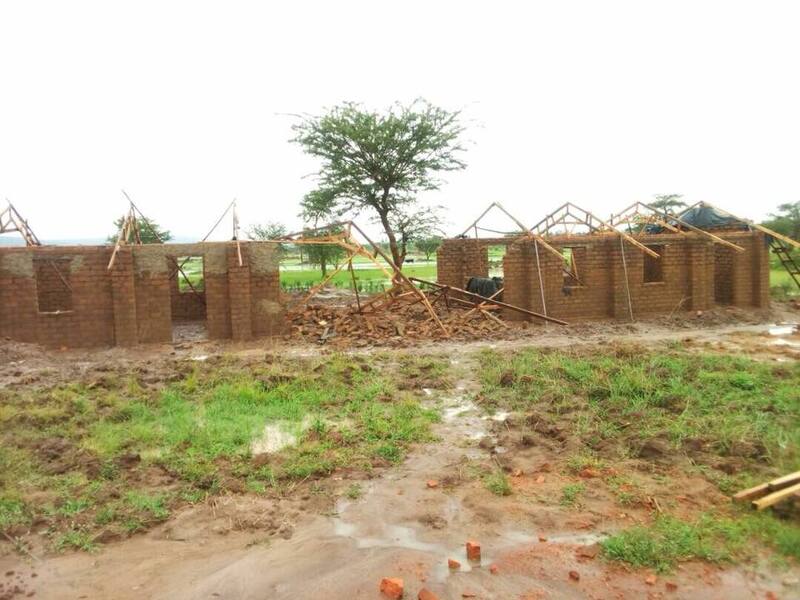 So when the rains arrive before the money - we lose a room, like in these pictures below. "No matter. They build upon it." They tell me. But why should they have to deal with this? We need a new system that enables families in crisis to access money instantly. What if it wasn't for a roof -- but for medicine or baby supplies? Blockchain technology and cryptocurrency have the capacity to create a new era for finance -- not just for the giddy folks over here whose money is growing exponentially, who will survive whether (when) the bubble bursts or not -- but for those who desperately need access to funds just to survive. So excited for what is evolving for this - for sunnier days, solid roofs, and finishing this school so that these children can invent new solutions to challenges like this.